Rahul Dravid sounded confident of his team Royal Challengers of Bangalore bouncing back from the mauling they received on Friday in the IPL lung-opener against Sourav Ganguly-led Kolkata Knight Riders. "We will come back strongly. There are 13 more (league) matches to be played," the former India skipper said ahead of Sunday night's battle here against Mumbai Indians, led by Sachin Tendulkar. Bangalore lost by 140 runs to Kolkata and their bowlers were hammered to all corners of the field by New Zealand's wicketkeeper-batsman Brendon McCullum who registered the highest-ever T20 score when making an unbeaten 158. Dravid said his team had some injury worries, especially the groin strain suffered by fast bowler Ashley Noffke, while seeing the positive side with the availability of West Indian veteran batsman and ex-skipper Shivnarine Chanderpaul for the tie. "Shiv would strengthen the team. We have some injury concerns. We would take a call on Noffke's groin injury tomorrow," he said. 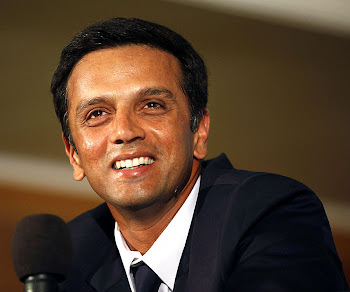 Dravid, asked about their rivals for Sunday's match, said he was not concerned about individuals. "They are a strong side". Bangalore team's coach Venkatesh Prasad hoped his team members would be more consistent than what they displayed on Friday at the Chinnaswamy Stadium. Good that BRC did bounce back. Today's match against Jaipur will be an interesting one to see.